Geodes are a hot trend popping up now but if you want some bling and some fun, don’t opt for them, choose gemstones! They don’t look really natural but very glam and cute. Let’s have a look at some crafts you can make. You can never have too many magnets, right? 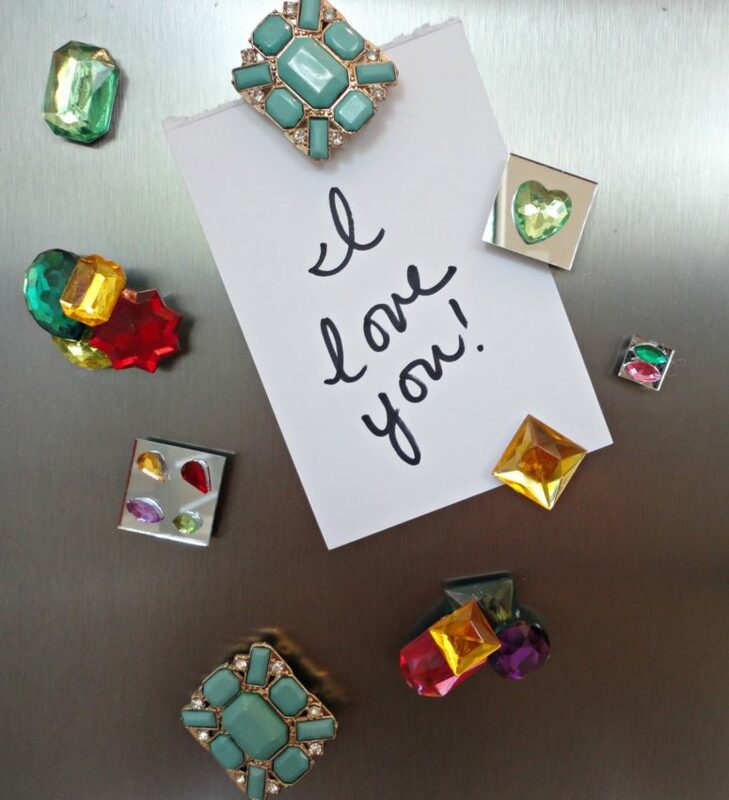 Especially when they are as cute as these metallic gem magnets. Plus, you will never guess what they are made of! Are you ready? Hot glue! Isn’t that awesome? 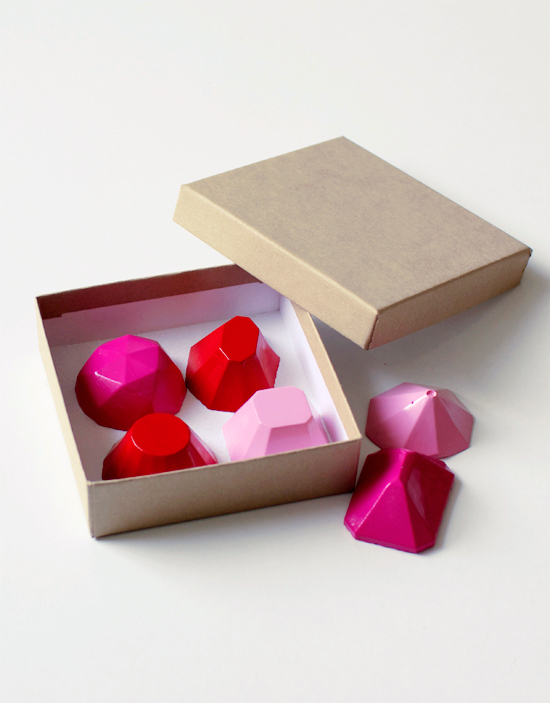 Follow along to see how the author transformed hot glue sticks into these faceted gem magnets. This project is simple and fun to make, and you can be sure that no one in the world has one just like them. 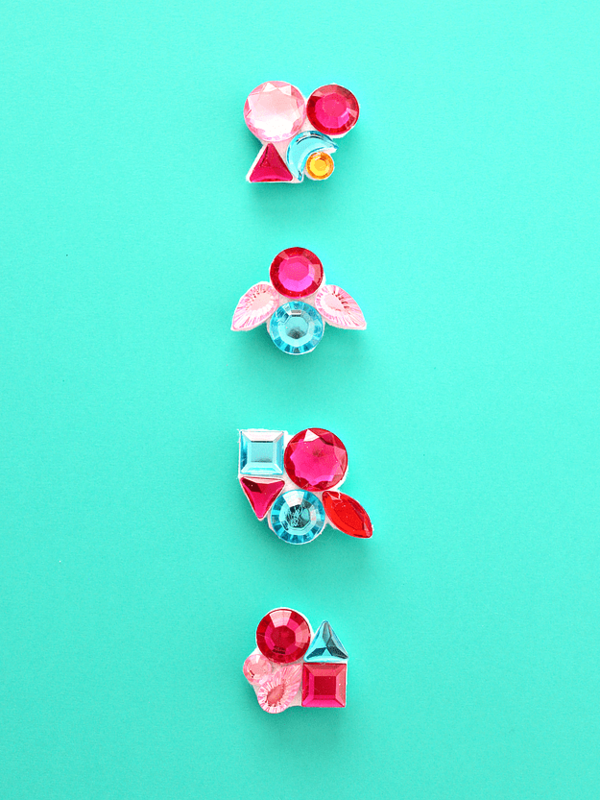 Inexpensive gems give bling to adorable DIY magnets. 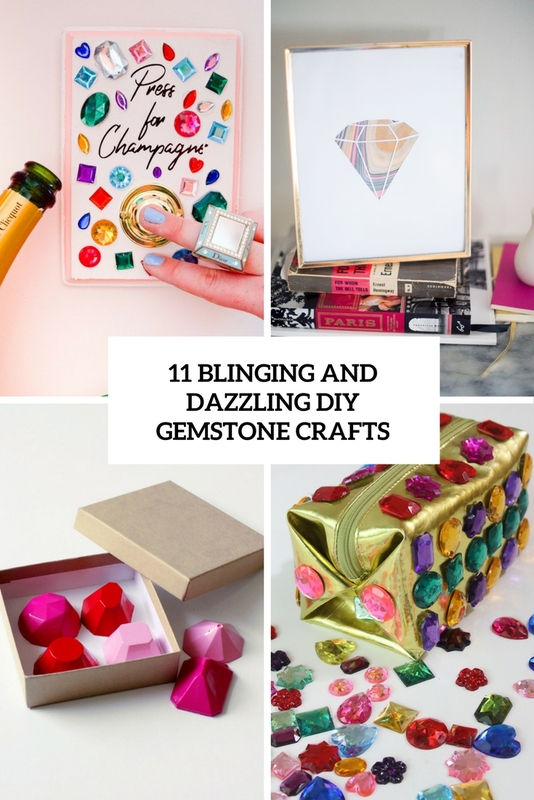 Such a cool gemstone thing is amazing for any girlish space. Keep on reading for the tutorial. This craft will be a perfect fit for any party but especially for a girl’s one as we all love drinking champagne. 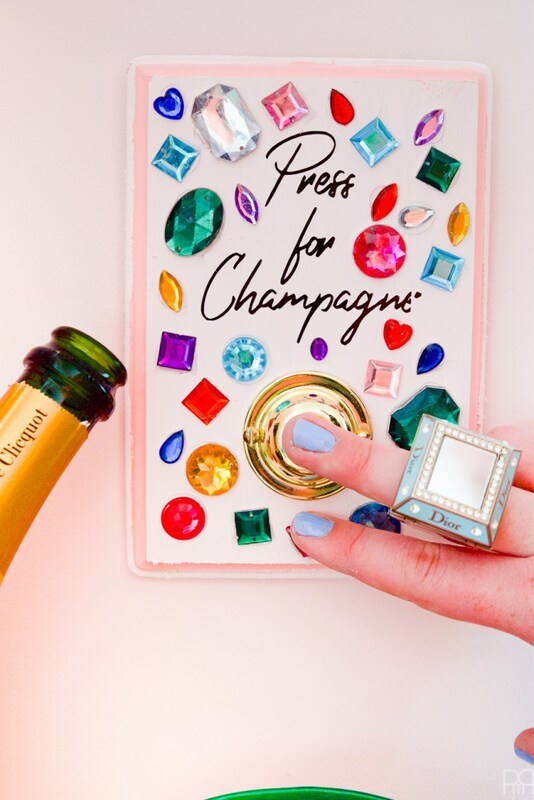 Find out how to make this gemstone champagne buzzer and press the buzzer! Get yourself some champagne! Cheers! Keep making bold glam things for your girlish space! This time it’s a bauble tray decorated with gemstones. What you need is to take gemstones and attach them to the tray, better choose some metallic one to make it stand out. Read the tutorial to find out how to do that. 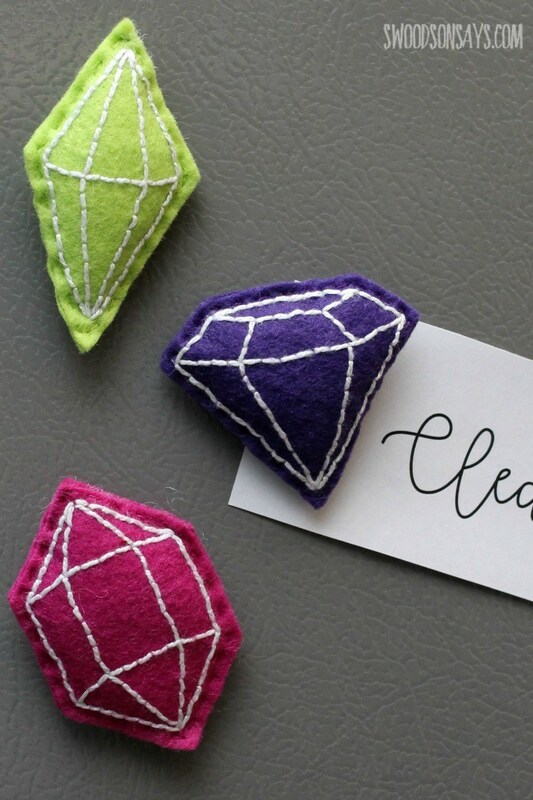 If you don’t want too much bling, there’s an idea to make gemstone magnets without it – make them of felt! 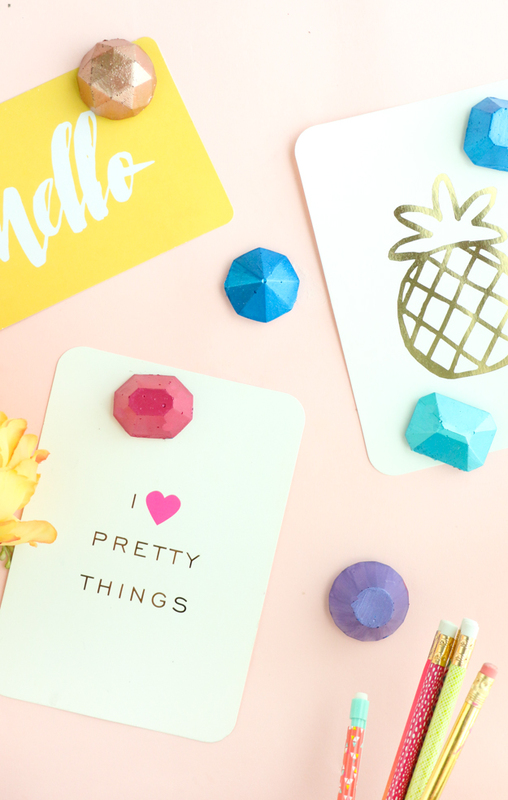 These cool graphic magnets will be a great thing for your fridge or magnet board, and you can make them in your favorite colors, read the tutorial! 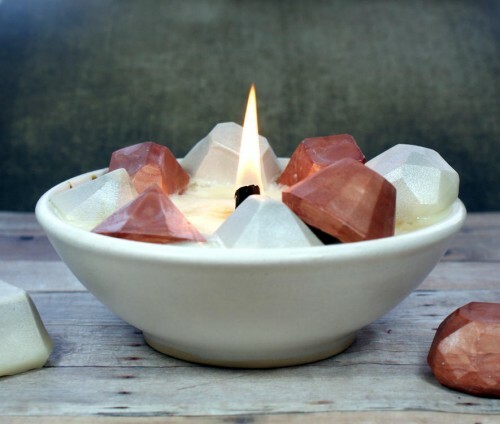 Try your hand at these DIY gemstone candles: these DIY gemstone candles are a fun way to decorate your space or make them as homemade gifts throughout the year for nearly any occasion. They’re great for weddings too! Be sure to follow all safety precautions entailed with burning your candle and keep it away from flammable objects. Also be sure to blow your candle out if you leave and never leave your candle burning unattended. There are so many DIYs out there to decorate walls, add colour to accessories, make things look pretty. But what about floors? 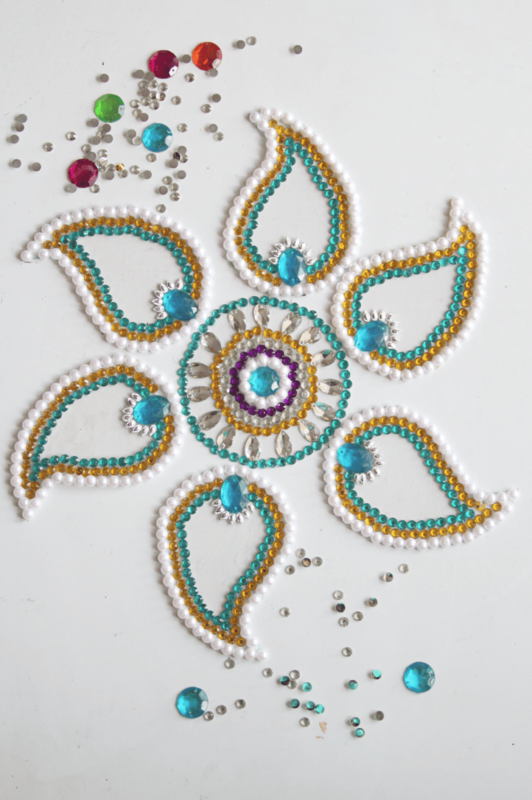 Let’s make this DIY gemstone rangoli inspired floor decor. Rangoli is an Indian art of making designs on the floor with fine colorful sand or grains but this craft will tell you how to make a decoration of gemstones. 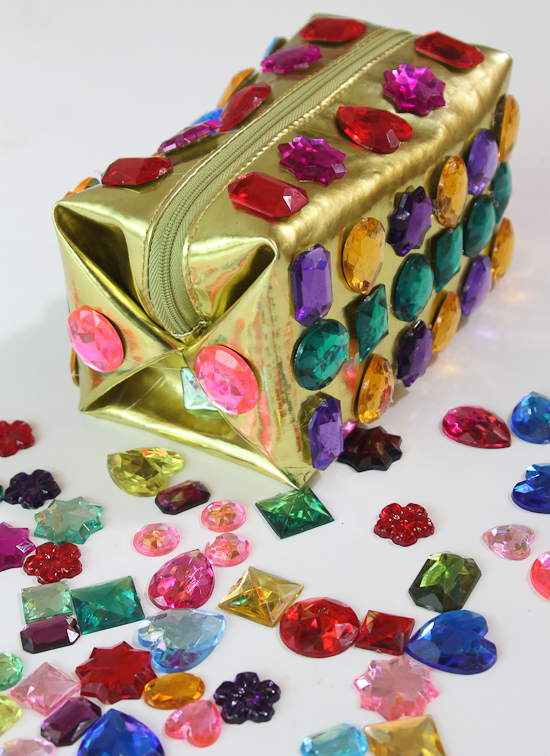 If you have a usual and boring makeup bag, you’ll need just some gemstones and glue to make it bling! Choose gems in your favorites colors and shapes and cover it all just for fun. These beautiful fridge magnets will be a nice gift for anyone, and they are very durable as they are made of concrete. The pink and red ones would be great for girlfriends, coworkers, etc. since they’re pretty girly. For your guy, you might want to keep them concrete, or mix in some different colors like green and blue. 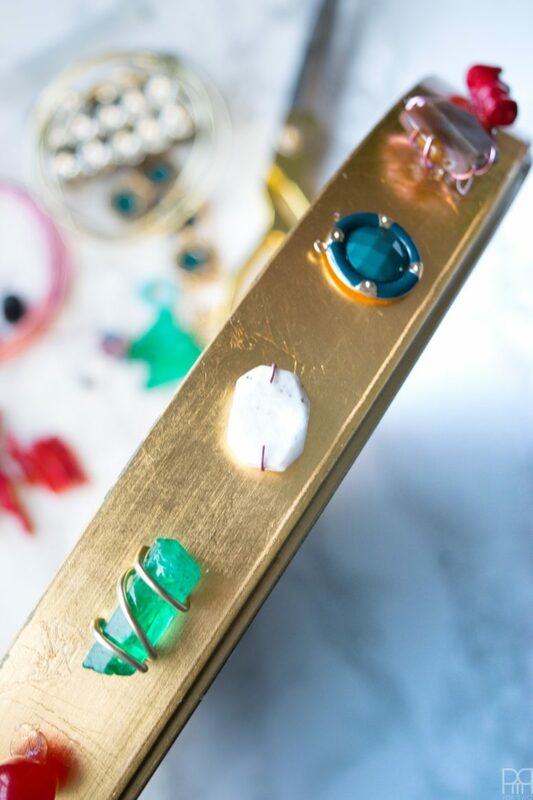 These little magnets were so easy and inexpensive to make, and the possibilities are truly endless when it comes to how you make them. All you have to do is hot glue a small magnet on the back and it’s officially a magnet! Make your fridge shine and bling! 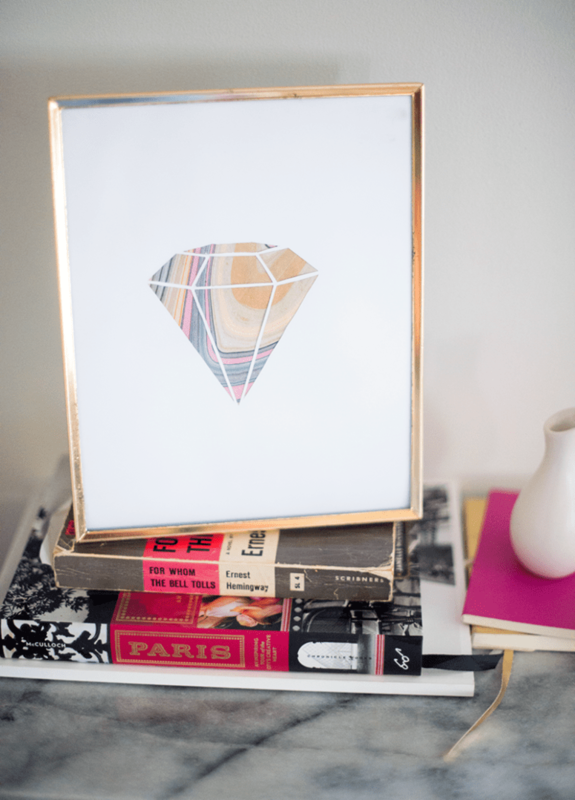 Make a cute and simple gemstone wall art piece! The piece is marble and you’ll need some colorful marbleized paper or you can go for some different colored paper. Read the whole tutorial in the source.